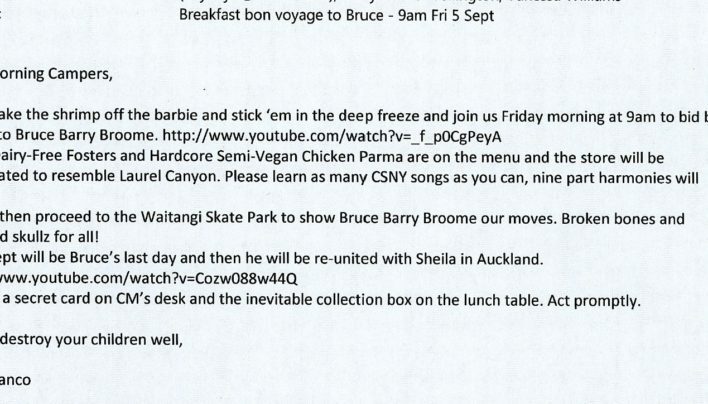 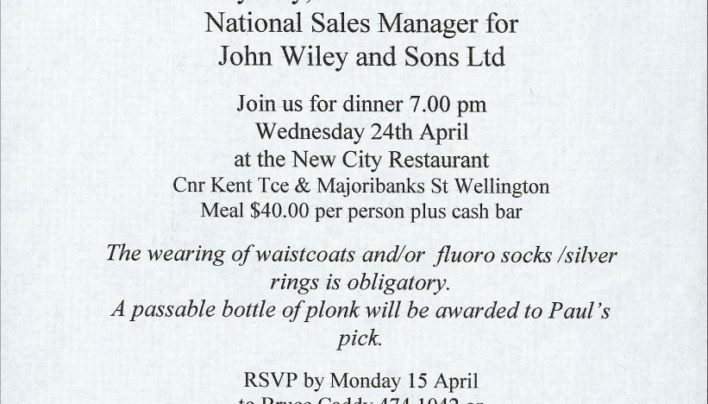 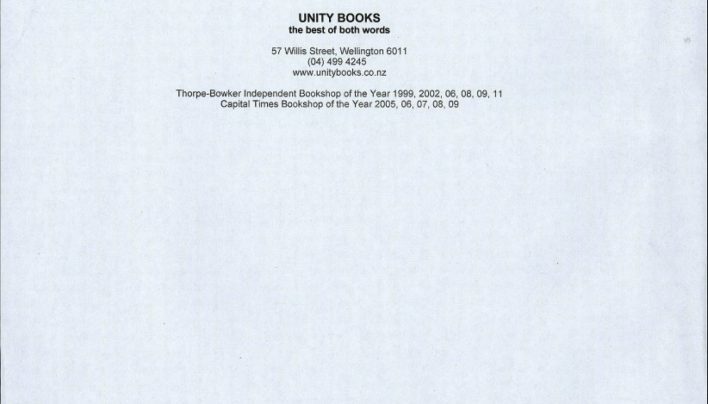 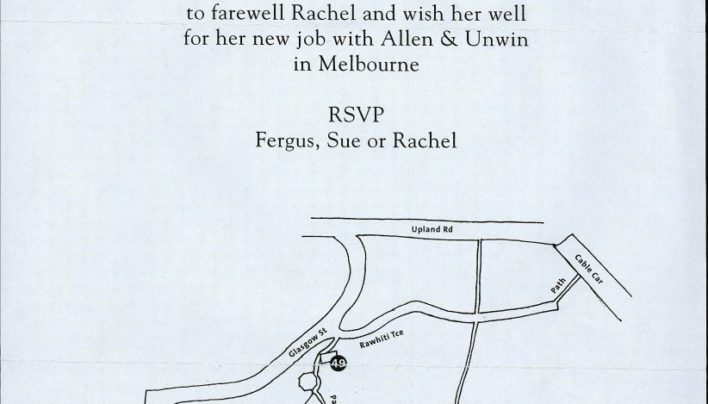 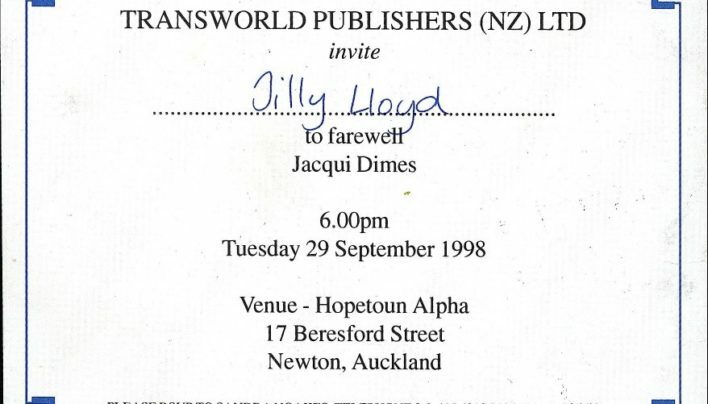 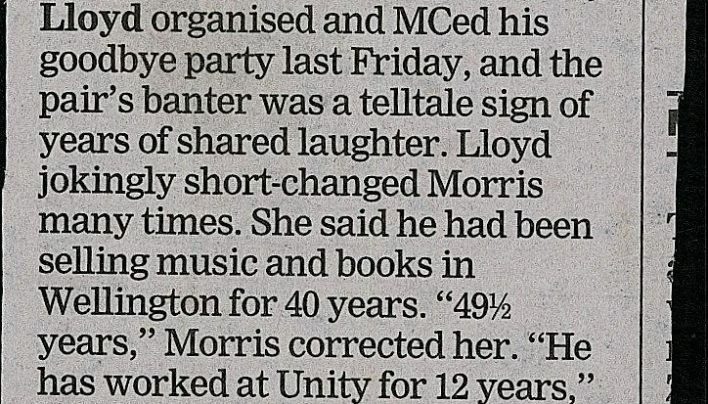 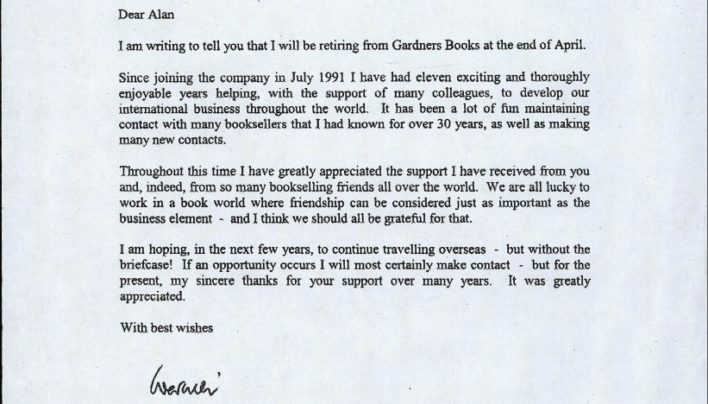 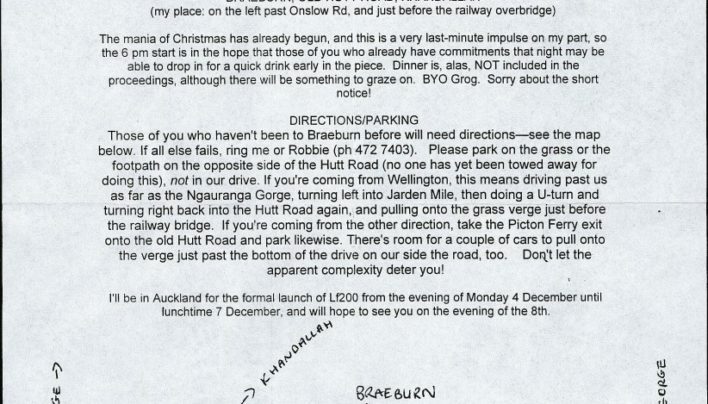 A “happy retirement” fax from the crew at Unity Books to Kay at Book Distribution New Zealand. 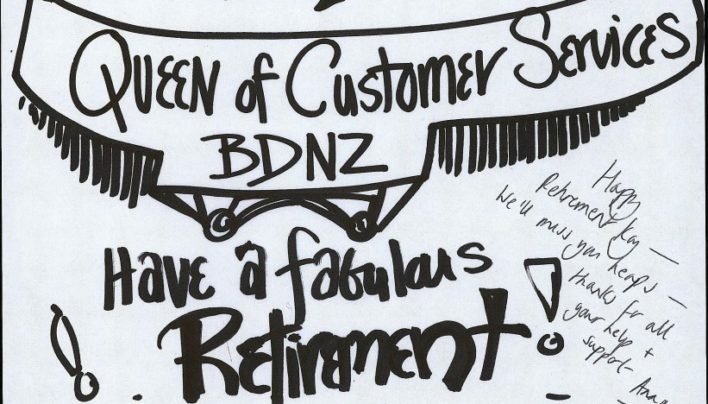 She really was the Queen of customer services. 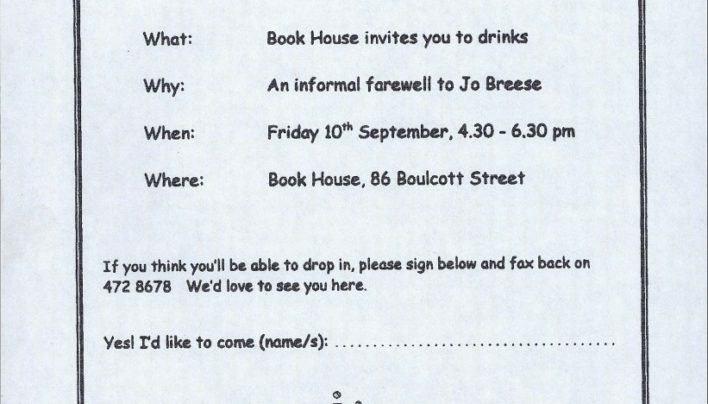 Chris Price invites us to the launch of Landfall 200, which marked the end of her era as editor, and the beginning Justin Paton’s tenure.